© 2019 Mercedes-Benz Canada Inc. Lease offers based on the 2019 A 250 4MATIC® Hatch is available only through Mercedes-Benz Financial Services on approved credit for a limited time. 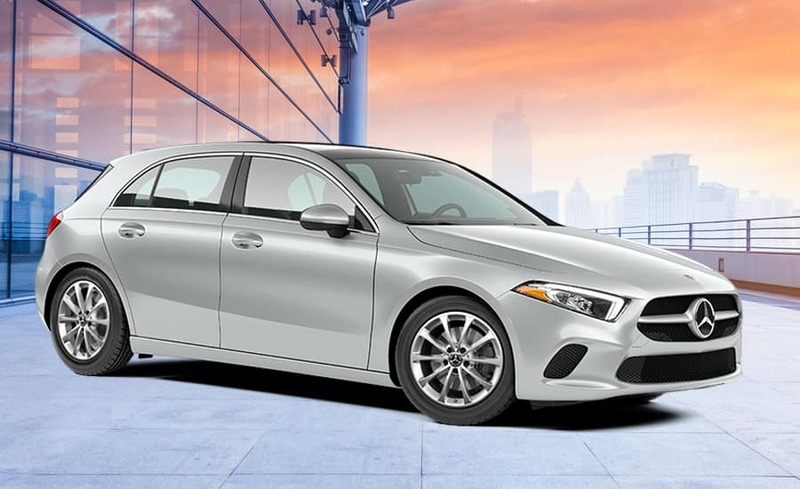 Total purchase price of an in-stock 2019 A 250 4MATIC® Hatch model is $44,469 which includes MSRP, Premium Package, COMAND® Navigation, less delivery credits and savings, plus all applicable dealer fees. *Lease example based on $488 per month for 45 months with a down payment or equivalent trade of $4,000. Lease payment includes dealer fees: dealer admin $495, freight/PDI $2,695, fuel surcharge of up to $85, PPSA $49.18, all-season floor liners $195, and OMVIC fee of $10. First month’s payment, security deposit of $550, and applicable taxes due at lease inception. MSRP starting at $40,940. Lease APR of 3.49% applies up to 45 months.12,000 km per year allowance ($0.20/km for excess kilometres applies). Total obligation is $25,960. **Offer includes delivery credits of $1,000 ($1,000 Dealer) applicable to lease offers. ***The loyalty program offers up to a 1% rate reduction off of the lowest advertised lease, retail finance or star advantage rate on new and demonstrator Mercedes-Benz passenger vehicles leased, financed or cash purchase via Mercedes-Benz Financial Services on approved credit for a limited time. To be eligible, a customer must have either leased or financed a new or certified pre-owned Mercedes-Benz or smart vehicle with Mercedes-Benz Financial Services and currently have an active account or had an active account within the last 180 days, or a customer must be a current owner of a new or pre-owned Mercedes-Benz vehicle with the required proof of ownership. Please see your local Dealer for interest rate reduction eligibility details. Certain conditions may apply. Vehicle license, insurance, registration, and taxes are extra. Dealer may lease or finance for less. Offers may change without notice and cannot be combined with any other offers. Contact Mercedes-Benz Newmarket for details. Offer ends April 30th, 2019. © 2019 Mercedes-Benz Canada Inc. Lease offers based on the 2019 B 250 4MATIC® Sports Tourer is available only through Mercedes-Benz Financial Services on approved credit for a limited time. Total purchase price of an in-stock 2019 B 250 4MATIC® Sports Tourer model is $39,429 which includes MSRP, Avantgarde Edition Package, Dark Ash Wood Trim, COMAND® Online Navigation, less delivery credits and savings, plus all applicable dealer fees. *Lease example based on $448 per month for 45 months with a down payment or equivalent trade of $4,000. Lease payment includes dealer fees: dealer admin $495, freight/PDI $2,695, fuel surcharge of up to $85, PPSA $49.18, all-season floor liners $195, and OMVIC fee of $10. First month’s payment, security deposit of $500, and applicable taxes due at lease inception. MSRP starting at $39,550. **Lease APR of 1.9% applies up to 45 months.12,000 km per year allowance ($0.20/km for excess kilometres applies). Total obligation is $24,160. ***Offer includes delivery credits of $3,650 ($2,000 National, $1,650 Dealer) applicable to lease offers. 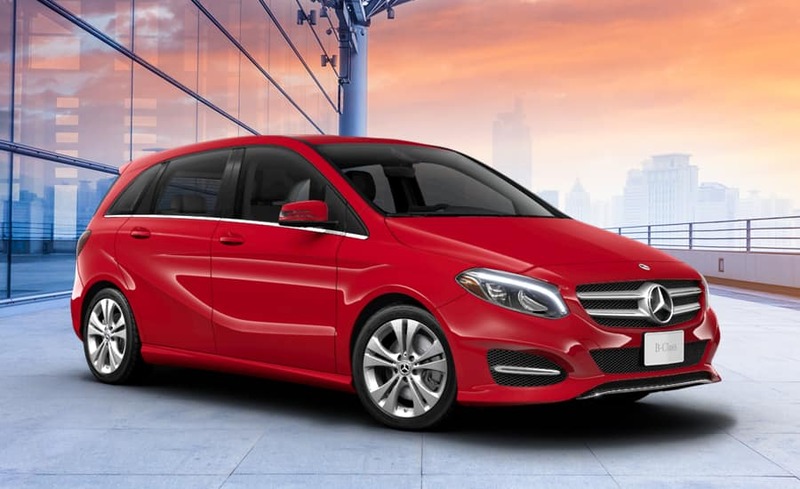 ****First, second and third month payment waivers are capped for 2019 B 250 4MATIC® Sports Tourer models up to a total of $400 (including taxes) for lease programs. *****The loyalty program offers up to a 2% rate reduction off of the lowest advertised lease, retail finance or star advantage rate on new and demonstrator Mercedes-Benz passenger vehicles leased, financed or cash purchase via Mercedes-Benz Financial Services on approved credit for a limited time. To be eligible, a customer must have either leased or financed a new or certified pre-owned Mercedes-Benz or smart vehicle with Mercedes-Benz Financial Services and currently have an active account or had an active account within the last 180 days, or a customer must be a current owner of a new or pre-owned Mercedes-Benz vehicle with the required proof of ownership. Please see your local Dealer for interest rate reduction eligibility details. Certain conditions may apply. Vehicle license, insurance, registration, and taxes are extra. Dealer may lease or finance for less. Offers may change without notice and cannot be combined with any other offers. Contact Mercedes-Benz Newmarket for details. Offer ends April 30th, 2019. © 2019 Mercedes-Benz Canada Inc. Lease offers based on the 2019 CLA 250 4MATIC® Coupe are available only through Mercedes-Benz Financial Services on approved credit for a limited time. Total purchase price of an in-stock 2019 CLA 250 4MATIC® Coupe model is $45,379 which includes MSRP, Avantgarde Edition Package, COMAND® Online Navigation w/ MB Apps, Matte Dark Ash Wood trim, less delivery credits and savings, plus all applicable dealer fees. *Lease example based on $568 per month for 45 months with a down payment or equivalent trade of $4,000. Lease payment includes dealer fees: dealer admin $495, freight/PDI $2,695, fuel surcharge of up to $85, PPSA $49.18, all-season floor liners $195, and OMVIC fee of $10. First month’s payment, security deposit of $650, and applicable taxes due at lease inception. MSRP starting at $42,850. **Lease APR of 3.9% applies up to 45 months. 12,000 km per year allowance ($0.20/km for excess kilometres applies). Total obligation is $29,560. ***Offer includes delivery credits of $2,000 ($1,000 National, $1,000 Dealer) applicable to lease offers. 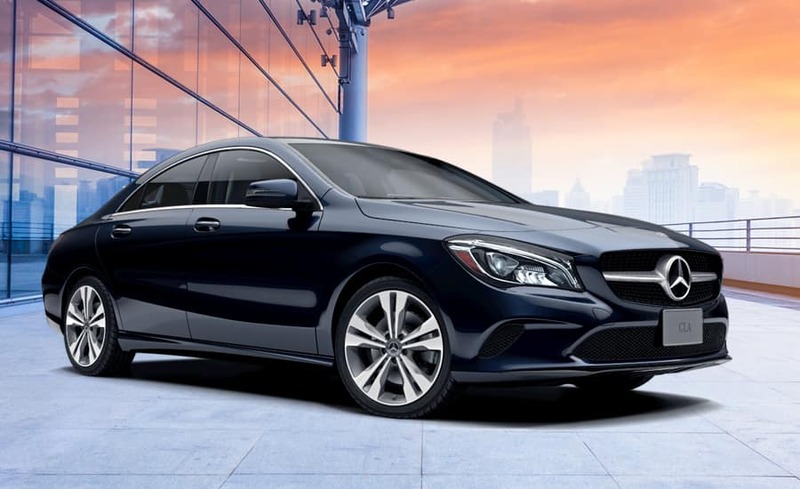 ****First, second and third month payment waivers are capped for 2019 CLA 250 4MATIC® Coupe models up to a total of $400 (including taxes) for lease programs. *****The loyalty program offers up to a 2% rate reduction off of the lowest advertised lease, retail finance or star advantage rate on new and demonstrator Mercedes-Benz passenger vehicles leased, financed or cash purchase via Mercedes-Benz Financial Services on approved credit for a limited time. To be eligible, a customer must have either leased or financed a new or certified pre-owned Mercedes-Benz or smart vehicle with Mercedes-Benz Financial Services and currently have an active account or had an active account within the last 180 days, or a customer must be a current owner of a new or pre-owned Mercedes-Benz vehicle with the required proof of ownership. Please see your local Dealer for interest rate reduction eligibility details. Certain conditions may apply. Vehicle license, insurance, registration, and taxes are extra. Dealer may lease or finance for less. Offers may change without notice and cannot be combined with any other offers. Contact Mercedes-Benz Newmarket for details. Offer ends April 30th, 2019. © 2019 Mercedes-Benz Canada Inc. Lease offers based on the 2019 GLA 250 4MATIC® SUV are available only through Mercedes-Benz Financial Services on approved credit for a limited time. 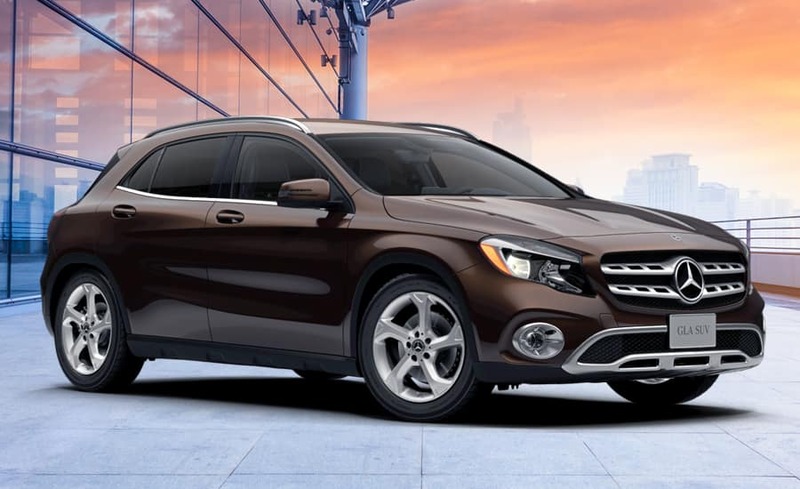 Total purchase price of an in-stock 2019 GLA 250 4MATIC® SUV model is $45,579 which includes MSRP, Premium Package, COMAND® Navigation, Matte Dark Ash Wood trim, less delivery credits and savings, plus all applicable dealer fees. *Lease example based on $528 per month for 45 months with a down payment or equivalent trade of $4,000. Lease payment includes dealer fees: dealer admin $495, freight/PDI $2,695, fuel surcharge of up to $85, PPSA $49.18, all-season floor liners $195, and OMVIC fee of $10. First month’s payment, security deposit of $600 and applicable taxes due at lease inception. MSRP starting at $43,050. **Lease APR of 2.9% applies up to 45 months. 12,000 km per year allowance ($0.20/km for excess kilometres applies). Total obligation is $27,760. ***Offer includes delivery credits of $2,000 ($1,000 National, $1,000 Dealer) applicable to lease offers. ****First, second and third month payment waivers are capped for 2019 GLA 250 4MATIC® SUV models up to a total of $400 (including taxes) for lease programs. *****The loyalty program offers up to a 2% rate reduction off of the lowest advertised lease, retail finance or star advantage rate on new and demonstrator Mercedes-Benz passenger vehicles leased, financed or cash purchase via Mercedes-Benz Financial Services on approved credit for a limited time. To be eligible, a customer must have either leased or financed a new or certified pre-owned Mercedes-Benz or smart vehicle with Mercedes-Benz Financial Services and currently have an active account or had an active account within the last 180 days, or a customer must be a current owner of a new or pre-owned Mercedes-Benz vehicle with the required proof of ownership. Please see your local Dealer for interest rate reduction eligibility details. Certain conditions may apply. Vehicle license, insurance, registration, and taxes are extra. Dealer may lease or finance for less. Offers may change without notice and cannot be combined with any other offers. Contact Mercedes-Benz Newmarket for details. Offer ends April 30th, 2019. © 2019 Mercedes-Benz Canada Inc. Lease offers based on the 2019 C 300 4MATIC® Sedan are available only through Mercedes-Benz Financial Services on approved credit for a limited time. Total purchase price of an in-stock 2019 C 300 4MATIC® Sedan model is $53,579 which includes MSRP, Premium Package, Sport Package, Heated Steering Wheel, less delivery credits and savings, plus all applicable dealer fees. *Lease example based on $638 per month for 45 months with a down payment or equivalent trade of $4,000. Lease payment includes dealer fees: dealer admin $495, freight/PDI $2,695, fuel surcharge of up to $85, PPSA $49.18, all-season floor liners $195, and OMVIC fee of $10. First month’s payment, security deposit of $750, and applicable taxes due at lease inception. MSRP starting at $51,050. **Lease APR of 3.99% applies up to 45 months. 12,000 km per year allowance ($0.20/km for excess kilometres applies).Total obligation is $32,710. ***Offer includes delivery credits of $2,000 ($1,000 National, $1,000 Dealer) applicable to lease offers. ****First, second and third month payment waivers are capped for 2019 C 300 4MATIC® Sedan models up to a total of $450 (including taxes) for lease programs. *****The loyalty program offers up to a 2% rate reduction off of the lowest advertised lease, retail finance or star advantage rate on new and demonstrator Mercedes-Benz passenger vehicles leased, financed or cash purchase via Mercedes-Benz Financial Services on approved credit for a limited time. To be eligible, a customer must have either leased or financed a new or certified pre-owned Mercedes-Benz or smart vehicle with Mercedes-Benz Financial Services and currently have an active account or had an active account within the last 180 days, or a customer must be a current owner of a new or pre-owned Mercedes-Benz vehicle with the required proof of ownership. Please see your local Dealer for interest rate reduction eligibility details. Certain conditions may apply. Vehicle license, insurance, registration, and taxes are extra. Dealer may lease or finance for less. Offers may change without notice and cannot be combined with any other offers. Contact Mercedes-Benz Newmarket for details. Offer ends April 30th, 2019. © 2019 Mercedes-Benz Canada Inc. Lease offers based on the 2019 C 300 4MATIC® Wagon are available only through Mercedes-Benz Financial Services on approved credit for a limited time. Total purchase price of an in-stock 2019 C 300 4MATIC® Wagon model is $56,029 which includes MSRP, Premium Package, Sport Package, Heated Steering Wheel, Open-Pore Dark Ash Wood Trim, less delivery credits and savings, plus all applicable dealer fees. *Lease example based on $668 per month for 45 months with a down payment or equivalent trade of $4,000. Lease payment includes dealer fees: dealer admin $495, freight/PDI $2,695, fuel surcharge of up to $85, PPSA $49.18, all-season floor liners $195, and OMVIC fee of $10. First month’s payment, security deposit of $750, and applicable taxes due at lease inception. MSRP starting at $52,500. **Lease APR of 3.9% applies up to 45 months. 12,000 km per year allowance ($0.20/km for excess kilometres applies).Total obligation is $34,060. ***Offer includes delivery credits of $1,500 ($1,500 Dealer) applicable to lease offers. 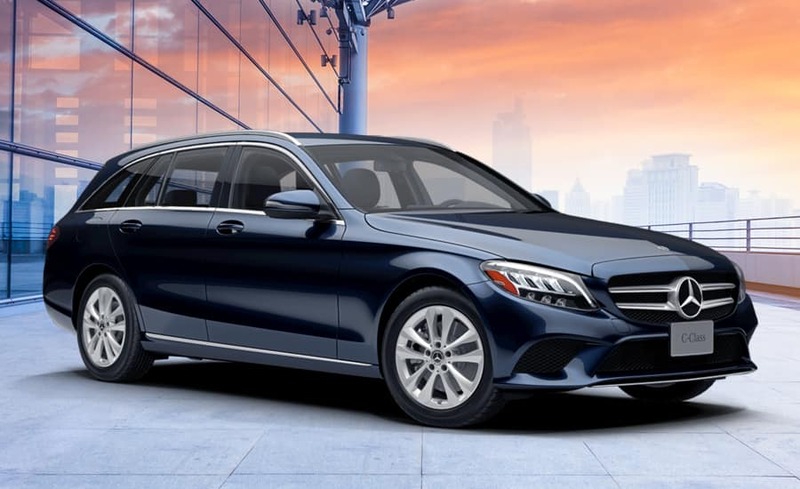 ****First, second and third month payment waivers are capped for 2019 C 300 4MATIC® Wagon models up to a total of $450 (including taxes) for lease programs. *****The loyalty program offers up to a 2% rate reduction off of the lowest advertised lease, retail finance or star advantage rate on new and demonstrator Mercedes-Benz passenger vehicles leased, financed or cash purchase via Mercedes-Benz Financial Services on approved credit for a limited time. To be eligible, a customer must have either leased or financed a new or certified pre-owned Mercedes-Benz or smart vehicle with Mercedes-Benz Financial Services and currently have an active account or had an active account within the last 180 days, or a customer must be a current owner of a new or pre-owned Mercedes-Benz vehicle with the required proof of ownership. Please see your local Dealer for interest rate reduction eligibility details. Certain conditions may apply. Vehicle license, insurance, registration, and taxes are extra. Dealer may lease or finance for less. Offers may change without notice and cannot be combined with any other offers. Contact Mercedes-Benz Newmarket for details. Offer ends April 30th, 2019. © 2019 Mercedes-Benz Canada Inc. Lease offers based on the 2019 GLC 300 4MATIC® SUV are available only through Mercedes-Benz Financial Services on approved credit for a limited time. Total purchase price of an in-stock 2019 GLC 300 4MATIC® SUV model is $54,079 which includes MSRP, Premium Package, Sport Package, Dark Ash Open-Pore Wood trim, less delivery credits and savings, plus all applicable dealer fees. *Lease example based on $658 per month for 45 months with a down payment or equivalent trade of $4,000. Lease payment includes dealer fees: dealer admin $495, freight/PDI $2,695, fuel surcharge of up to $85, PPSA $49.18, all-season floor liners $195, and OMVIC fee of $10. First month’s payment, security deposit of $750, and applicable taxes due at lease inception. MSRP starting at $52,550. **Lease APR of 3.99% applies up to 45 months. 12,000 km per year allowance ($0.20/km for excess kilometres applies). Total obligation is $33,610. ***Offer includes delivery credits of $3,000 ($2,000 National, $1,000 Dealer) applicable to lease offers. 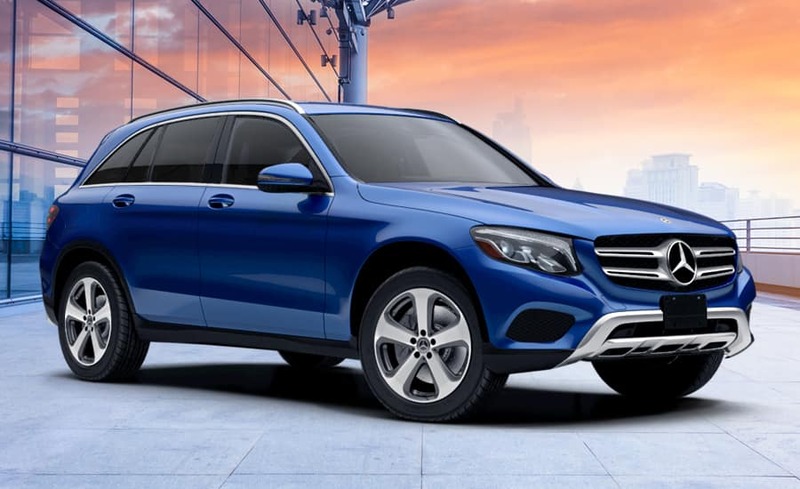 ****First, second and third month payment waivers are capped for 2019 GLC 300 4MATIC® SUV models up to a total of $550 (including taxes) for lease programs. *****The loyalty program offers up to a 2% rate reduction off of the lowest advertised lease, retail finance or star advantage rate on new and demonstrator Mercedes-Benz passenger vehicles leased, financed or cash purchase via Mercedes-Benz Financial Services on approved credit for a limited time. To be eligible, a customer must have either leased or financed a new or certified pre-owned Mercedes-Benz or smart vehicle with Mercedes-Benz Financial Services and currently have an active account or had an active account within the last 180 days, or a customer must be a current owner of a new or pre-owned Mercedes-Benz vehicle with the required proof of ownership. Please see your local Dealer for interest rate reduction eligibility details. Certain conditions may apply. Vehicle license, insurance, registration, and taxes are extra. Dealer may lease or finance for less. Offers may change without notice and cannot be combined with any other offers. 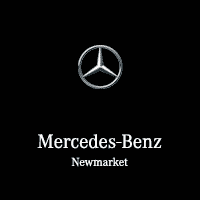 Contact Mercedes-Benz Newmarket for details. Offer ends April 30th, 2019. © 2019 Mercedes-Benz Canada Inc. Lease offers based on the 2019 E 300 4MATIC® Sedan are available only through Mercedes-Benz Financial Services on approved credit for a limited time. 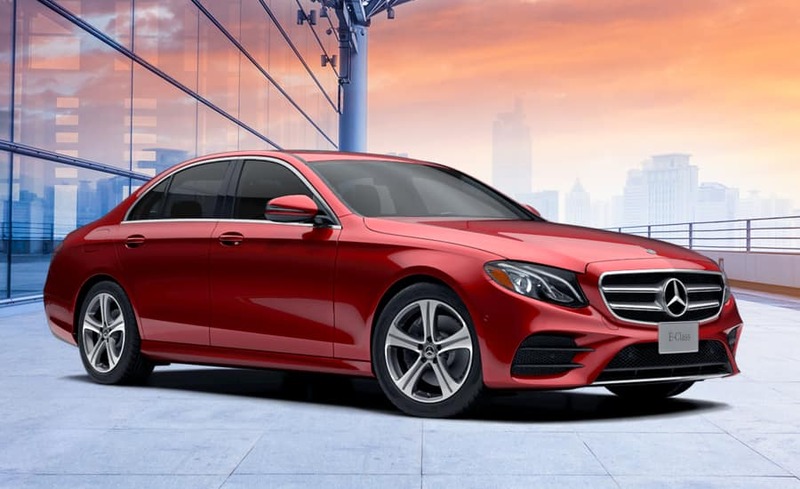 Total purchase price of an in-stock 2019 E 300 4MATIC® Sedan model is $72,509 which includes MSRP, Premium Package, Lighting Package, Dark Ash Open-Pore Wood trim, 19-inch AMG® Twin 5-Spoke Wheels, 360-Degree Camera, less delivery credits and savings, plus all applicable dealer fees. *Lease example based on $928 per month for 45 months with a down payment or equivalent trade of $4,000. Lease payment includes dealer fees: dealer admin $495, freight/PDI $2,895, fuel surcharge of up to $115, PPSA $49.18, all-season floor liners $195, and OMVIC fee of $10. First month’s payment, security deposit of $1,050, and applicable taxes due at lease inception. MSRP starting at $68,750. **Lease APR of 3.99% applies up to 45 months. 12,000 km per year allowance ($0.20/km for excess kilometres applies). Total obligation is $45,760. ***Offer includes delivery credits of $1,500 ($1,500 Dealer) applicable to lease offers. 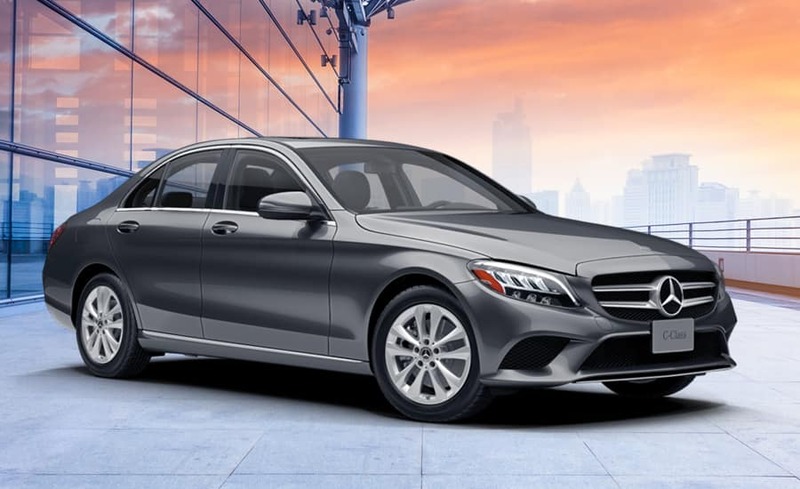 ****First, second and third month payment waivers are capped for 2019 E 300 4MATIC® Sedan models up to a total of $850 (including taxes) for lease programs. *****The loyalty program offers up to a 2% rate reduction off of the lowest advertised lease, retail finance or star advantage rate on new and demonstrator Mercedes-Benz passenger vehicles leased, financed or cash purchase via Mercedes-Benz Financial Services on approved credit for a limited time. To be eligible, a customer must have either leased or financed a new or certified pre-owned Mercedes-Benz or smart vehicle with Mercedes-Benz Financial Services and currently have an active account or had an active account within the last 180 days, or a customer must be a current owner of a new or pre-owned Mercedes-Benz vehicle with the required proof of ownership. Please see your local Dealer for interest rate reduction eligibility details. Certain conditions may apply. Vehicle license, insurance, registration, and taxes are extra. Dealer may lease or finance for less. Offers may change without notice and cannot be combined with any other offers. Contact Mercedes-Benz Newmarket for details. Offer ends April 30th, 2019. Interested in one of our New Vehicle Special Offers?